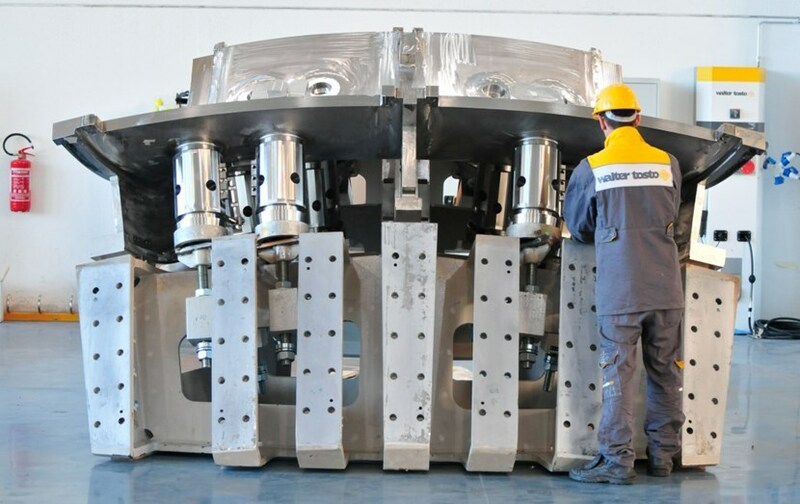 Nine massive steel sectors delivered by the Domestic Agencies of Europe (five sectors) and Korea (four sectors) will be welded together on site during the assembly phase to form the torus-shaped ITER vacuum vessel. Many smaller elements had to be welded together to achieve this small part of vacuum vessel sector #5 (a subassembly of poloidal segment 2 on its support jig). Fabrication activities like this are underway now for sectors #6 and #1 in Korea and #5 in Europe. Manufacturing and welding activities are underway now on the many sub-parts that go into the final products—each 600-tonne sector is assembled from four smaller poloidal segments; these segments in turn are created by the welding together of different subassemblies. In Europe, the first subassembly was achieved for poloidal segment 2 (sector #5) in March. The photo illustrates how different-sized forgings are machined into complex shapes and then joined together by welding. This sub-assembly, which represents only a fraction of the total sector, weighs more than 6 tonnes and is approximately 2 metres long by 3 metres wide. In Europe, vacuum vessel manufacturing activities are carried out by the AMW consortium (Ansaldo Nucleare S.p.A, Mangiarotti S.p.A and Walter Tosto S.p.A) and their sub-suppliers. It took 25 metres of welds to finalize the subassembly.